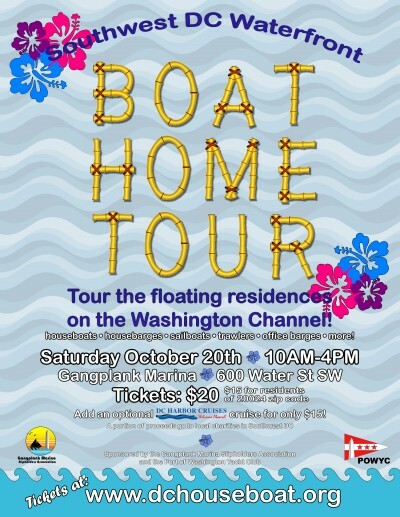 In celebration of the yearly “Liveaboard Boater Day,” Southwest DC’s colorful liveaboard community will open its doors to visitors on Saturday, October 20 from 10 AM to 4 PM. The self‐guided tour at Gangplank Marina takes visitors inside at least 20 of the most fun and unique homes (and offices) in Washington DC. Owners and docents will also be available to answer questions about the boat‐homes and the liveaboard and workaboard lifestyles. This is only the second time that the homes of Gangplank Marina have been open to the public, and the chance to tour this unique community is not to be missed. The tour is located on Washington DC’s active Southwest waterfront, along the Washington Channel. Historically, the waterfront was the portal for newcomers and visitors to the Nation’s capital, as well as a busy center for maritime trade and fishing. 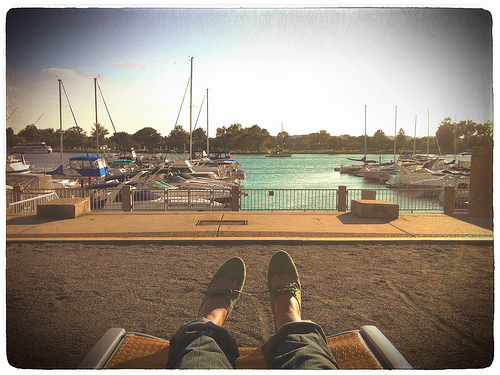 Gangplank Marina is a 309‐slip marina just steps from the National Mall and its many monuments and museums, and is the largest liveaboard community on the East Coast. For over 30 years, it has been home to a diverse group including professionals, families, artists, retirees, scientists, congresspeople, members of the military, and many more. Many restaurants, businesses, historical buildings and other attractions are located in the Southwest waterfront, which is currently poised to undergo a multi‐million dollar redevelopment. Advance tickets are recommended ($20 per person) as the tour is expected to sell out. Purchase tickets online via our web site www.dchouseboat.org. Tickets will not be available on the day of the tour. We’re also offering a discounted ticket price of $15 to our Southwest neighbors in the 20024 zip code. A portion of the proceeds from the tour ticket sales will benefit local charities in Southwest DC. Several of Gangplank Marina’s other neighbors will also be participating. Waterfront bar & grill Cantina Marina will offer a 10% discount to tourgoers, and local organizations such as DC Sail and the Southwest DC Arts Festival will also be present. Do You Think You Can Tell The Difference Between DC Tap Water and Bottled Water? Prove It!